Here is a brand new mixtape from the beasts who make up the Lgeez outfit, Son Of Sam and Alex Jones (both artists have signed to BTE). 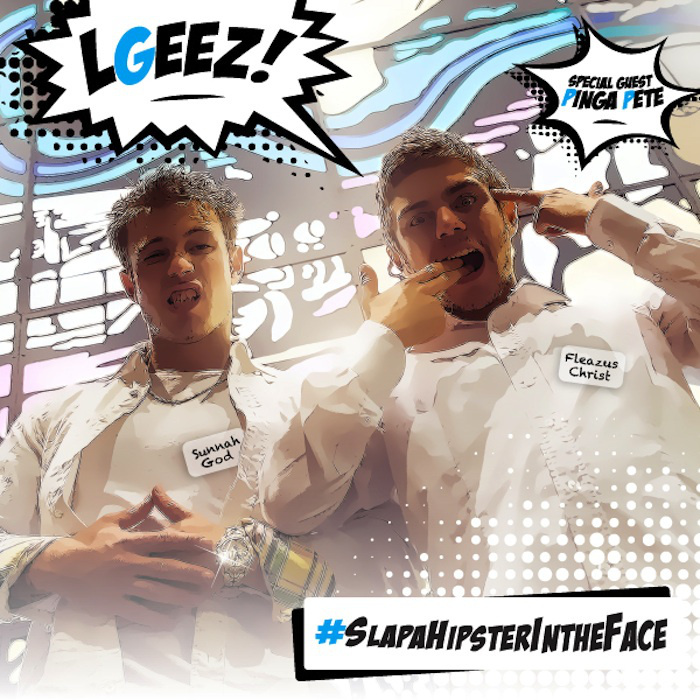 Dropping early last week, #Slapahipsterintheface is everything you’d expect from these two lads. Killer bars, big beats and some dope guest appearances in the form of Fraksha, Sarm, Sky’High, Gutz and more! There is also a special guest appearance from Pinga Pete. The mixtape is available now as a name your price download, which you can pick up here. Stay tuned we hope to have Alex Jones appearing on an upcoming episode of #aahhRadio Podcast very soon.